Unexpected plan for a movie..? A surprise date with boyfriend..? A sudden business meeting..? Whenever we find ourselves in midst of these kind of situations, the first thing we wonder about is the way we look, our day to day life bogs us down, and with these unexpected plans that tired look or unclean face is the last thing we want to see, but then who has got the time to visit a parlour and get a clean up done, its often not possible. But what if I tell you that you can have a parlour like clean up in just 5 minutes.. 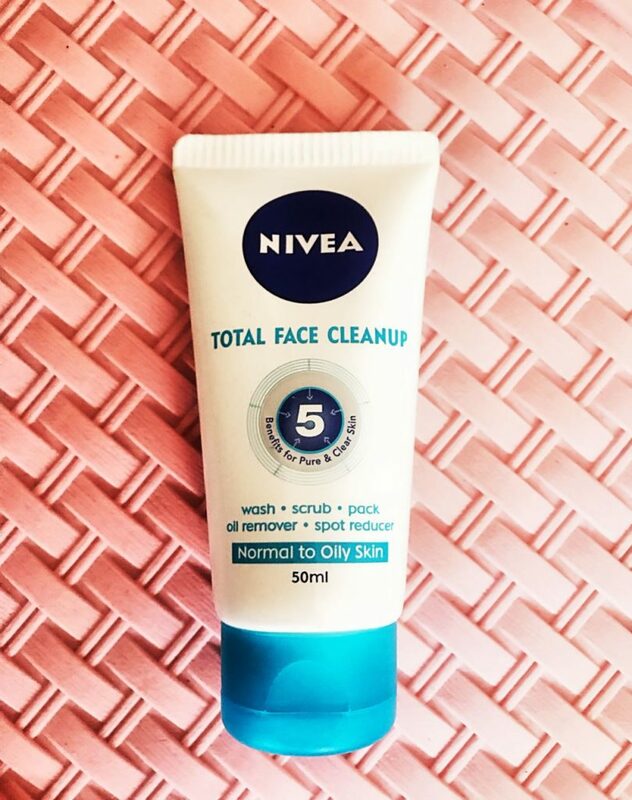 Yes you read it right, with Nivea Total Face Clean Up, it just takes 5 minutes for you to have a clean and supple looking skin. More often than not, we all are rushed up with the day to day life, and stress about going to a parlour to get a clean up done. 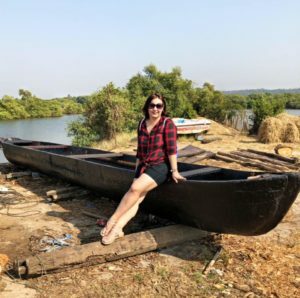 We dread the idea, because it normally means taking out at least 2 hours from your busy schedule, and in such scenarios products like these are a boon. Easy to use and easy to carry in your bag all the time. I recently came across this product and must say I loved it completely. 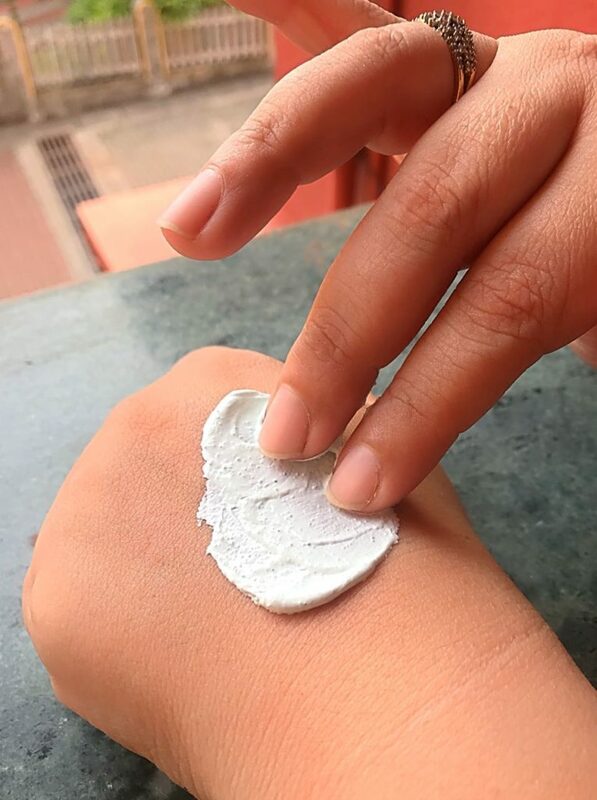 To me a clean up at home also meant spending 30-40 minutes and using 4-5 different products but not anymore, now with just one product and in 5 minutes I am done and whether I am at home or office, I can easily use it and get a total face clean up. 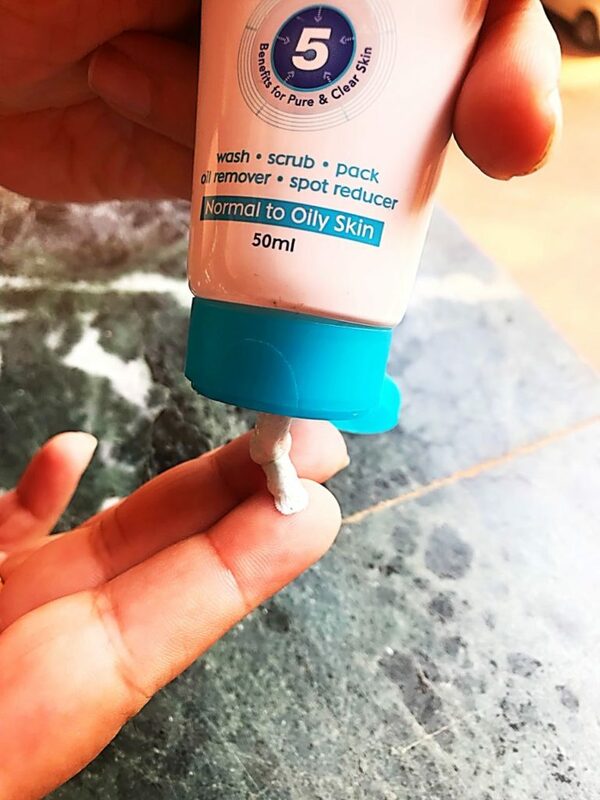 It’s a 3 in one product that can be used as a face wash first, then scrub it gently on your face for about a minute and leave it as a face pack for another 3-4 minutes and ta daa.. in just five minutes your complete clean up is done. Final verdict- a great product which comes in handy especially when you have a time crunch. Given the price point of Rs 120 for 50ml, I think it’s a product worth grabbing. 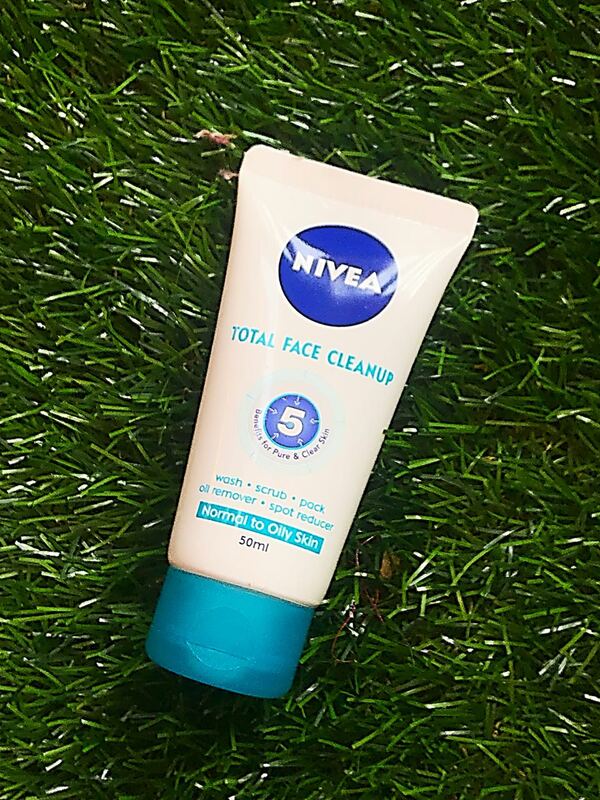 Posted in Beauty & Fashion, Product ReviewTagged Beauty & Fashion, Beauty Blog, Beauty Blogger, Beauty Product, Best Beauty Blog, Cosmetics, Face Clean Up, Face Product, New Product, Nivea, Nivea Total Face Cleanup, Product Review, Product Reviewer, Review, Skin Care ProductLeave a Comment on 5 minutes for a total face clean up with Nivea!